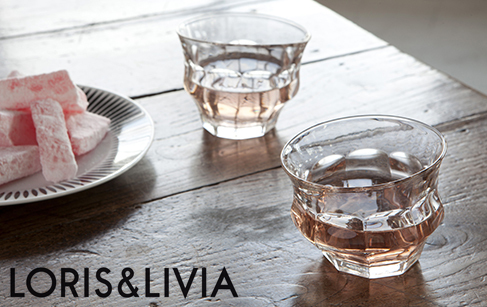 LORIS & LIVIA create unusual items and unexpected spaces ideal for interaction. They advocate a return to simplicity, with functional items featuring simple designs, which easily fit into the majority of interiors. Imbued with poetry, their items question the space around them at the same time as elegantly decorating them. Under the management of the Swiss founders, Loris Jaccard and Livia Lauber, the East London studio brings together a range of conceptual abilities and techniques which facilitate the design of quality pieces with plenty of character. Like true conductors, both of them are keen to be present during each project from conceptualisation of the product to the end of the process. Loris and Livia, who met in London in 2006, worked together in design competitions and personal exhibition projects between 2008 and 2010. They were thus able to figure out what they had in common and established their partnership in 2011, on the basis of their common affection for a sophisticated, sober and poetic aesthetic, for beautiful materials, and also for specialised manufacturing and graphic conception techniques.